When my husband and I were preparing for our wedding, we tried really hard to exhaust all the help that we can get from our families and friends to help us lessen our expenses and just stick to our budget. Thankfully enough, lots of help were committed by them and we couldn’t thank everyone enough for everything! From our flowers, to souvenirs, wedding car and emcee, a lot of help were given to us. Not to mention our very delicious cake from Pattycakes and more. We’re really consistent and disciplined with our wedding budget plan and Patty baking for us is truly a huge help. Jaycee, being in charge with the cake talked to her HS friend Patty if she can bake for us and Jaycee just handed Patty a certain amount and let her do the rest. We actually didn’t had any expectations with the cake and was just expecting a single or a double layer cake but what we got is a three-layer-all-edible-cake from her! When we consulted to different pastry stores and shops before, we found out that what she gave us is almost equivalent to 5k or more and the middle and upper layer will be inedible. Bottom part will only be the edible one. In Patty’s cake, everything was edible from top to bottom and everything was also designed the way we want it to be. Looking back, I remember meeting Patty only once during our entire 7 year relationship together as bf-gf. Jaycee actually isn’t the type who always goes out with his friends because he is one solid home person and just love watching anime and playing games at home. Despite all that, I have always adored their friendship because even if they don’t see each other often, they’re still in good understanding. Here's the photo of our gorgeous cake. It may be a little small but the design was truly remarkable. I'm just so envious with her innate talent in baking. How I wish I would learn the same skill. Here are just some of her creations and I am linking more of her cakes from wedding cakes to cupcakes/ cupcake tower and even birthday cakes. Apart from the cake that she baked, she also gave us a dozen cupcake as a gift. We actually thought that the discount for the cake was already her gift to us. I like her cupcakes. I’m not a cupcake fan but I eat cupcakes when I really liked them. Hers was soft and fluffy and has this thick and full filling unlike those that can be bought commercially. We like to extend our gratefulness to Patty and to the rest of all the people who helped us one way or another. I will blog about the experience and preparation soon once I got more time in my hands. You’ll be amazed how we only spent less on all the expenses in our wedding. The likes of Patty who extended help to us is one of the reasons why we survived on spending so less in a church wedding. Thank you so much! P.S. All photos without watermark are from Pattycakes FB account. Beautiful cakes! I just love the details of the flowers. I think it would be hard to ship them from Pampanga to Cebu. 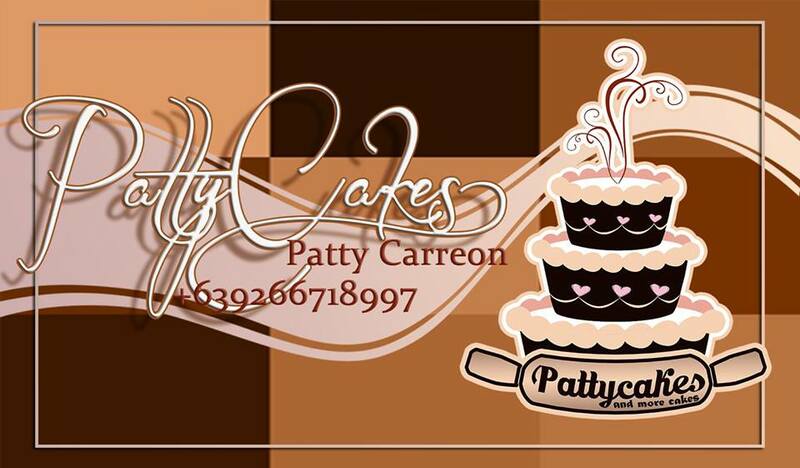 You might find the best Cebu homemade cupcake makers there. Those cakes look gorgeous! I want to try them, too!! You might want to order from her. You can check her FB page. I linked it on the post. 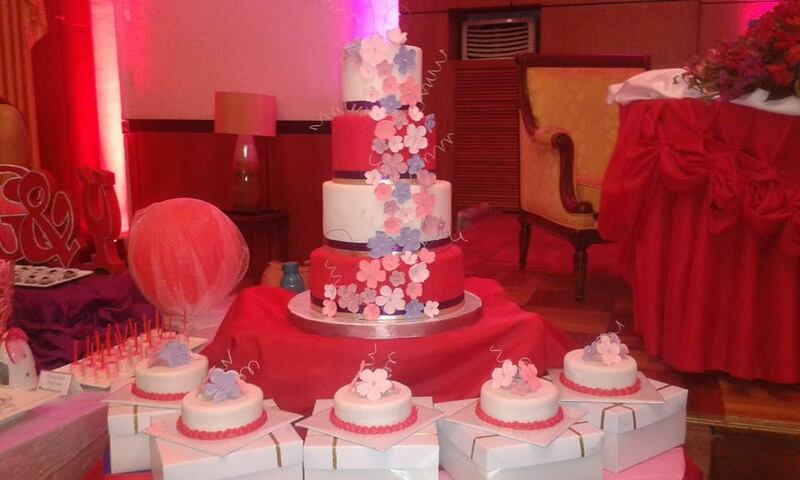 Beautiful beautiful cakes! I bet they were super delicious. I just had my lunch but now I'm craving some cake hehehe. They're really delicious. We loved it! 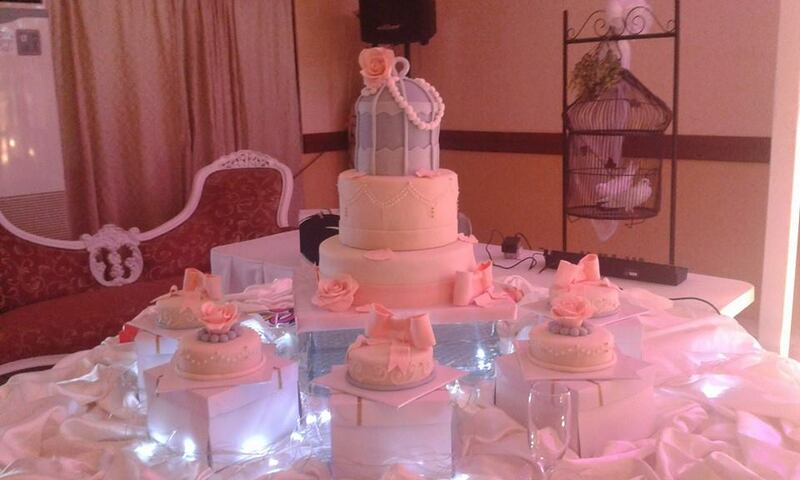 I think weddings are made more special with homemade cakes. Every wedding is different, so the cakes should be too. Plus points also for it being within budget! 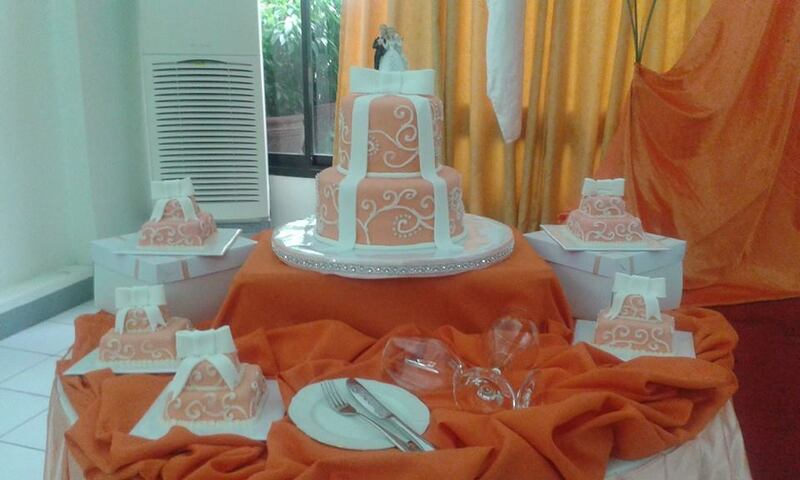 Usually cakes are one of the most expensive elements in weddings. Well, if there are three things that would be really expensive, for me it would be the food, the photographer and the ring. WOOOOOW! These cakes look amazing! I would never have thought they were homemade!! !The design was truly remarkable I couldnt have said it better myself! Wauw that's an awesome cake! It's really impressive She's really talented. And it looks delicious ofcourse. It's great that she's your friend and helped you by making the wedding cake. That makes it extra special! Yup! I hope we'll have more occasion to celebrate so that we can have more of her cakes. 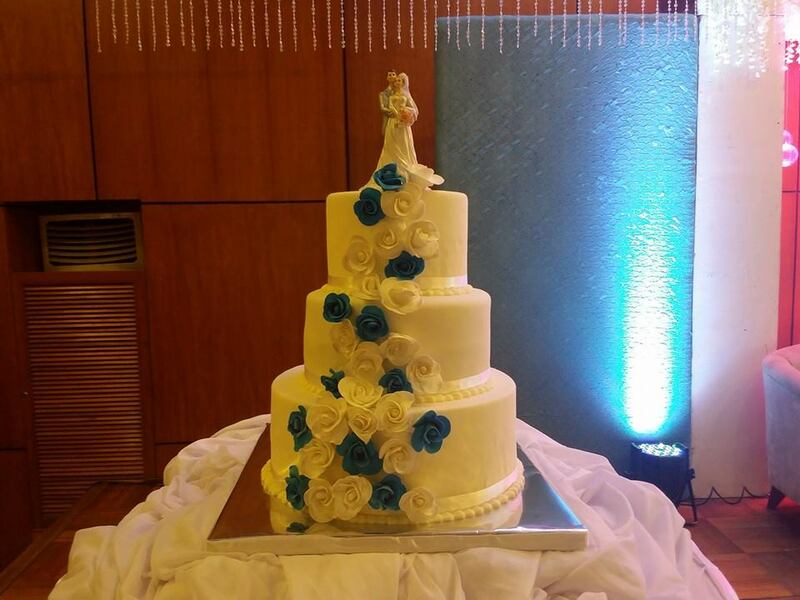 The cake is gorgeous, I love that you chose it to be blue. It was really nice of them to send you a cupcake gift. There's nothing better than a sweet gift and they look delicious! My motif is blue and white. It's actually 2 shades of blue. A royal blue (the color of the cake) and tiffany blue but it's hard to push the tiffany blue motif so I had a different touch of blue instead. If you've read the entire post, you'll know if it's reasonable. That cake is stunning. The fourth picture looks like my wedding cake. It's very generous of her to give you a discount and box of cupcake. I'm sure she'll get a lot of customer. She already had so many creations and I think it is because she's really great in baking. I just hope I have a portion of the skills she had. Yup, a treasure find. 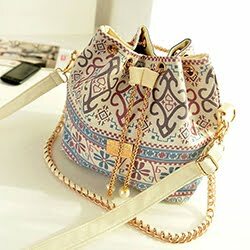 I suggest gather all suggested shops first then from there, pick the best. With great quality and less costly. You can try her if you want. I'm just not sure if she can deliver to your area. Great find! By the way, when were you married? Congratulations! Are all those cakes in your photos edible from top to bottom? That would be pretty heavy. But I'm sure these cakes are very yummy because you're writing about them. I was married last year. 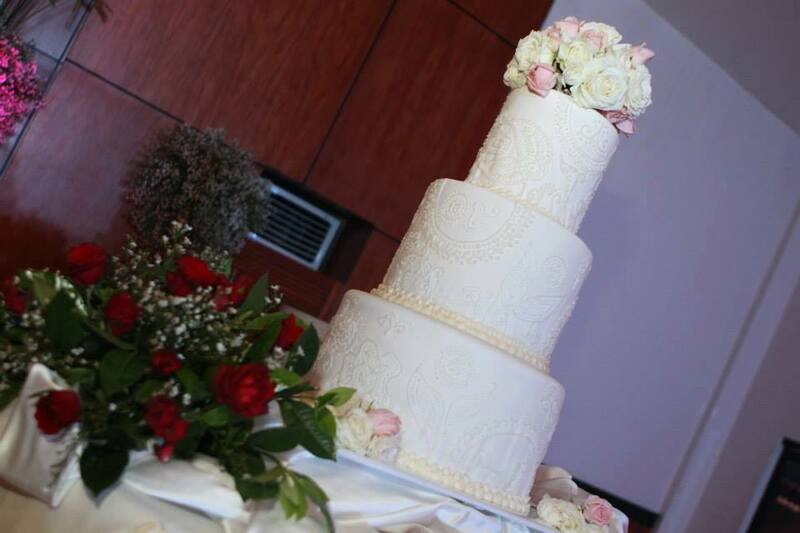 And yes, I mentioned on the post that our wedding cake was edible from bottom to top. Thanks Yan! Yup, she's one of the few whose craft I admire. I agree. Everything was wonderfully made.